Also known as one-vs-all, this strategy consists in fitting one classifier per class. 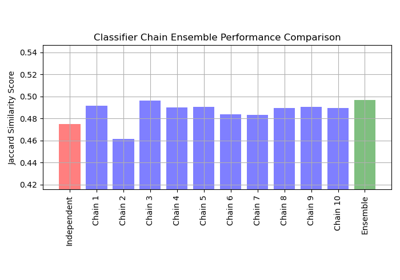 For each classifier, the class is fitted against all the other classes. In addition to its computational efficiency (only n_classes classifiers are needed), one advantage of this approach is its interpretability. 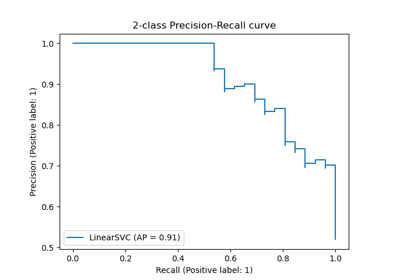 Since each class is represented by one and one classifier only, it is possible to gain knowledge about the class by inspecting its corresponding classifier. This is the most commonly used strategy for multiclass classification and is a fair default choice. This strategy can also be used for multilabel learning, where a classifier is used to predict multiple labels for instance, by fitting on a 2-d matrix in which cell [i, j] is 1 if sample i has label j and 0 otherwise. In the multilabel learning literature, OvR is also known as the binary relevance method. An estimator object implementing fit and one of decision_function or predict_proba . The number of jobs to use for the computation. None means 1 unless in a joblib.parallel_backend context. -1 means using all processors. See Glossary for more details. Object used to transform multiclass labels to binary labels and vice-versa. decision_function(X) Returns the distance of each sample from the decision boundary for each class. fit(X, y) Fit underlying estimators. predict(X) Predict multi-class targets using underlying estimators. 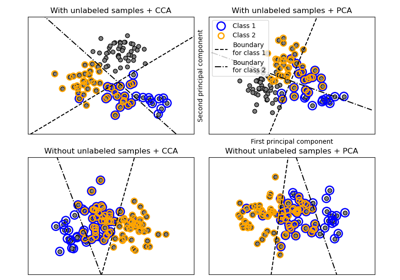 Returns the distance of each sample from the decision boundary for each class. This can only be used with estimators which implement the decision_function method. Multi-class targets. An indicator matrix turns on multilabel classification. Should be used when memory is inefficient to train all data. Chunks of data can be passed in several iteration. Classes across all calls to partial_fit. Can be obtained via np.unique(y_all) , where y_all is the target vector of the entire dataset. This argument is only required in the first call of partial_fit and can be omitted in the subsequent calls. 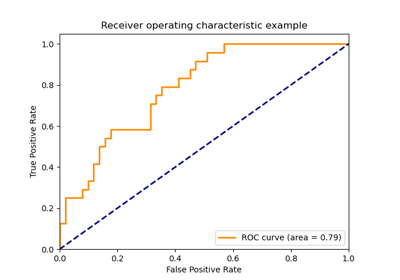 Predict multi-class targets using underlying estimators. y : (sparse) array-like, shape = [n_samples, ], [n_samples, n_classes]. The returned estimates for all classes are ordered by label of classes. Note that in the multilabel case, each sample can have any number of labels. This returns the marginal probability that the given sample has the label in question. For example, it is entirely consistent that two labels both have a 90% probability of applying to a given sample. In the single label multiclass case, the rows of the returned matrix sum to 1. Returns the probability of the sample for each class in the model, where classes are ordered as they are in self.classes_ .